Coming home from work to find a box of shoes is always exciting. But when I'm not expecting the shoes and they are a newer version of shoes I've loved before, I'm just pushed over the top with excitement. With that said, I changed into my running clothes as quickly as possible, tied these new fabulous shoes on, and went for a run. My schedule called for a tempo run, and these shoes felt great! They were light on my feet, offered great support where I needed, and I had zero rubbing in my previous trouble spots. I also really love the lack of upper structure. I don't have the weird rubbing going on with my toes and toenails and that makes for a great run as well. As you know, I wear men's shoes because I have super wide feet. Women's wide don't always cut it for me and most of the time, shoe companies don't always make low profile/minimalist shoes in women's wides. I've found the footbed of men's shoes to fit my feet quite well. Sometimes I have to deal with "manly" colors, but the color isn't what's important when it comes to my feet feeling good. 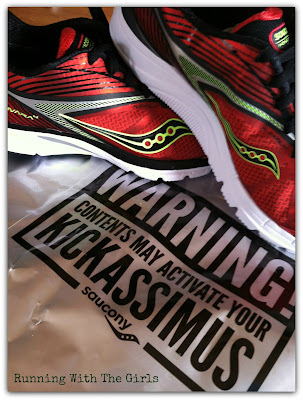 But, with these shoes, I'd say Saucony's men's shoes don't really look too manly to me at all. I find the slogan for the new Saucony 4 most fitting. 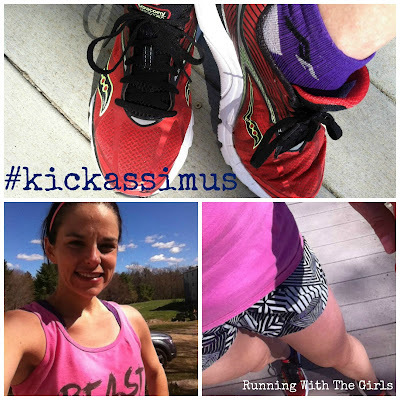 My runs have most definitely been Kickassimus. Disclaimer– I was sent a pair of Saucony Kinvara 4′s as part of my relationship with Fitfluential. That said, all opinions are completely 100% my own. I love the new Kinvaras! I love these! Great review! The shoes look great on you! 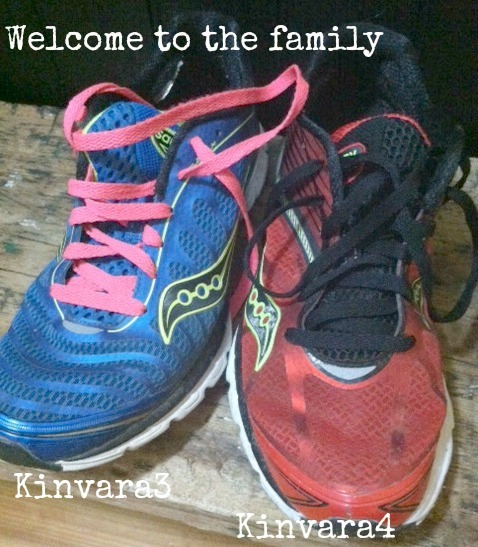 I love my Kinvaras, granted I'm still in my 2s but still!